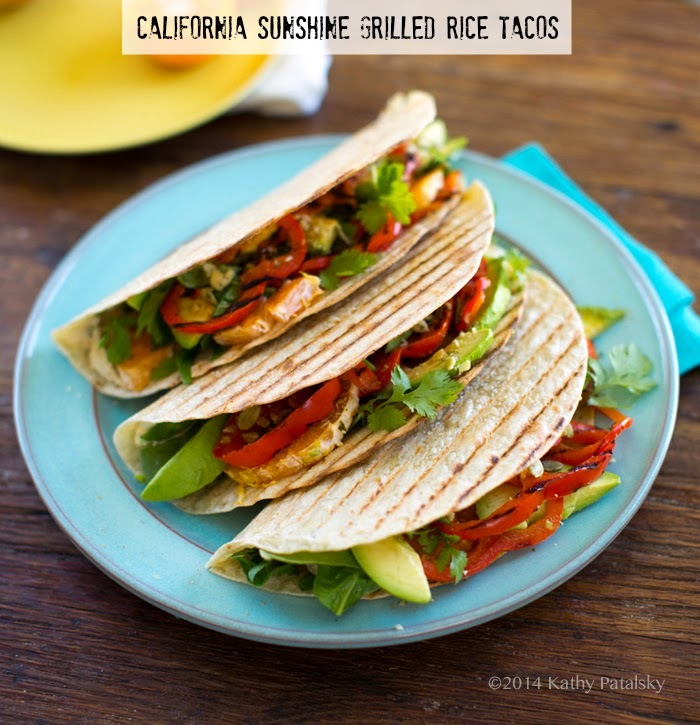 California Sunshine Grilled Rice Tacos. Veggie Stuffed! 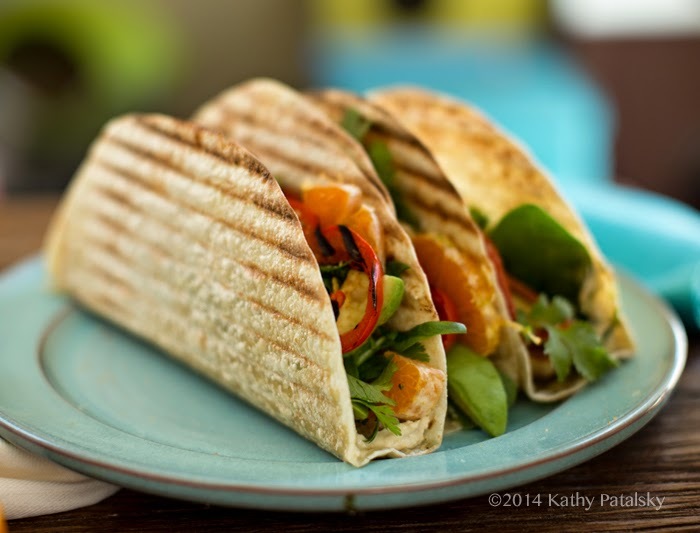 Today's great kitchen discovery: my favorite new crispy taco shell is made by grilling rice tortillas on my panini press! Magically (because amazing food is always magic) - magically they turn into crunchy yet chewy, slightly puffed, grill marked, crispy taco shells. 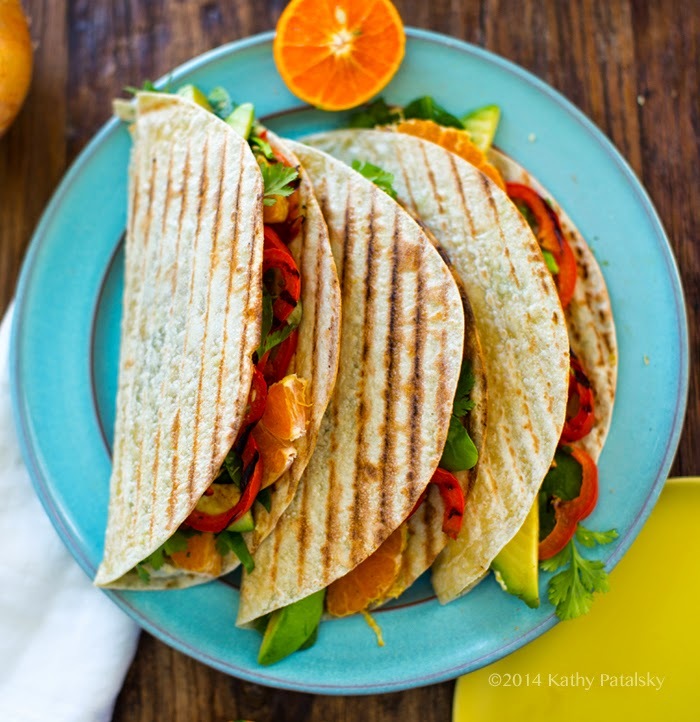 Then for these beauties, I filled each giant taco shell with some very California girl (or boy) approved ingredients. 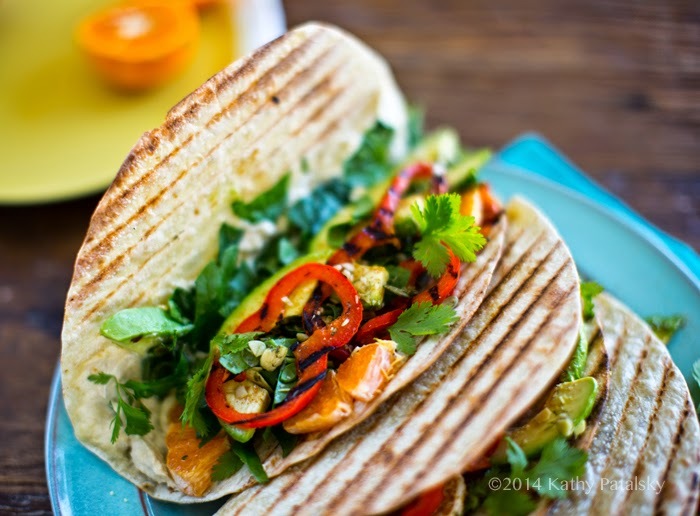 Buttery avocado, creamy hummus, baby spinach, grilled bell pepper, sweet citrus and more. 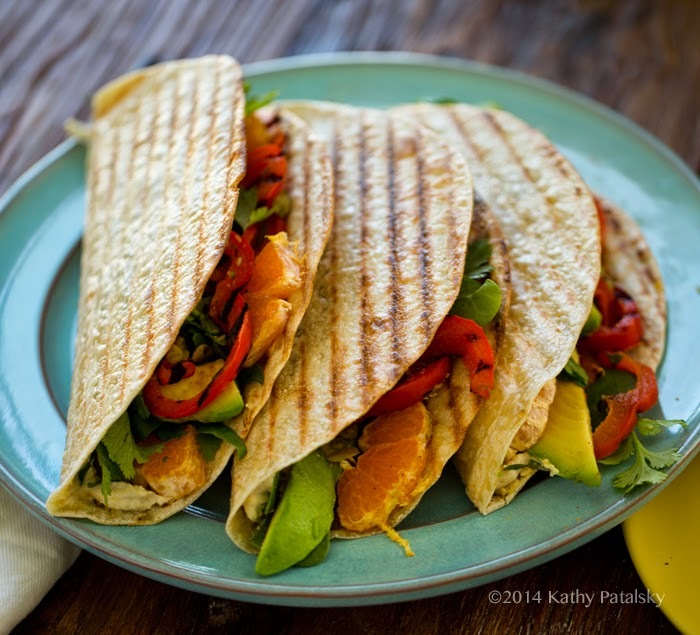 Gluten-free California Sunshine Grilled Rice Tacos were born. A new fave for sure! 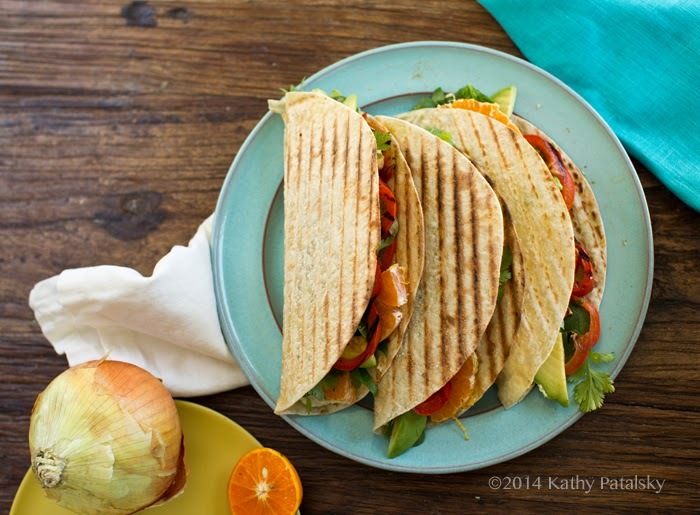 Dive into sunshine with this easy, gluten-free, go-to meal! Tacos! Rice crispy, grill marked, veggie-filled style. 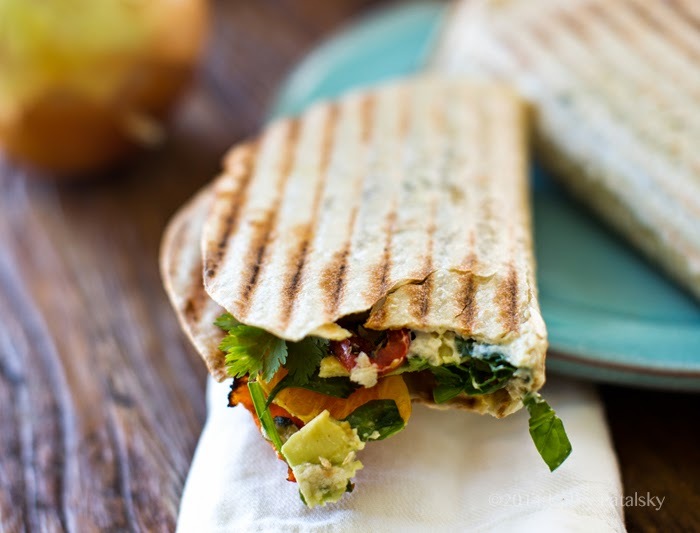 For re-heating, try slicing into quarters, then re-grilling on the panini press. I did this and they were delish. Though I am not "gluten-free" I do try to reduce the amount of gluten in my diet. Though I tested negative for any gluten allergies, I am still interested in the continuing literature and research persuading us all to limit the amount of gluten we eat. For me, it is less about abstaining from gluten entirely, and more about diversifying the grains and whole food ingredients I eat. I grew up shopping at a supermarket where it seemed just about everything used wheat. From cold cereals to wheat bread, wheat pizza crusts and wheat flours for baking. I compare that to eating nothing but apples and bananas your entire life as your fruit sources! Diversity is one key to nutrition that has never let me down. So gluten-free week is something I embrace..
Gluten-Free Week. Just like some people do a day or two or more of juice fasting, sometimes I like to do a week of gluten fasting. I cannot scientifically say that my gluten free week does anything for my body, but I do feel a slight difference in my digestion and wellness after a nice gluten-free week. So if you are like me and enjoy gluten in moderation, but like to try new things with your diet, think about doing a week-long GF fast! It is an interesting way to get to know your body a bit better and also try new recipes that embrace gluten free ingredients like corn, beans, fruits and veggies and rice. As well as exotic grains and seeds like quinoa and kamut. 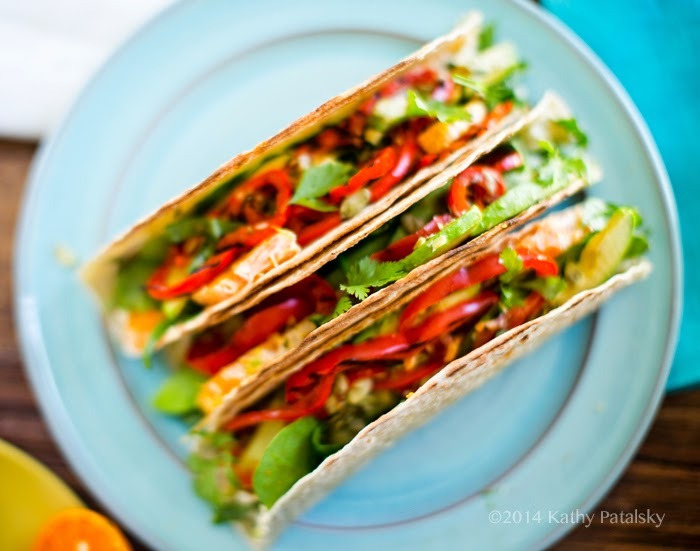 These rice tacos are so lovely and light and crispy and amazing. I hope you try them! 1. Arrange all your prepped veggies on a plate. 2. 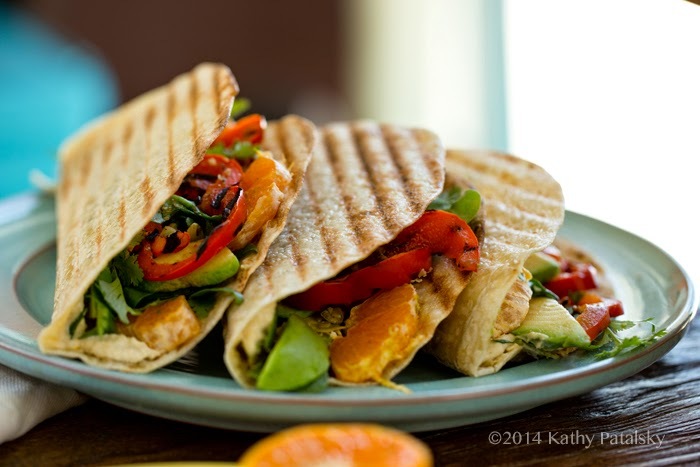 Warm up a panini press. Add the pepper slices and grill for 1-2 minutes until grill marks form. Remove peppers and set aside. 3. 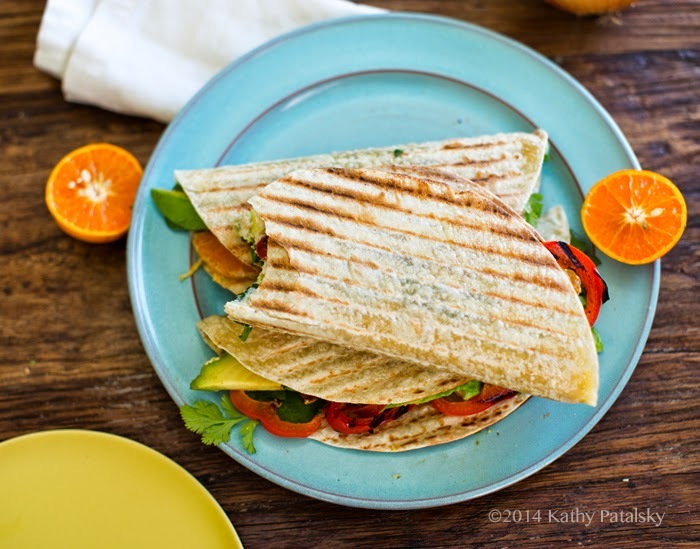 Place your first tortilla on the panini press and press down to warm. Warm and press for about 30-60 seconds or until light brown grill marks form. 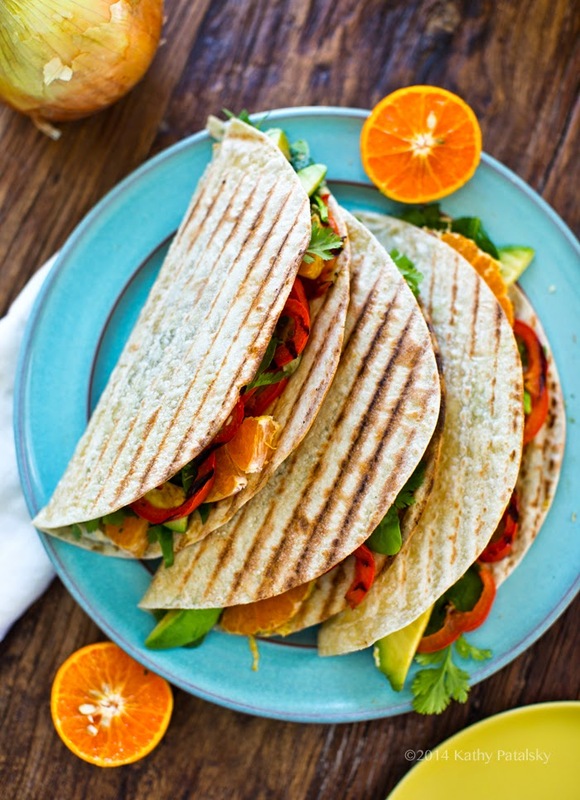 Remove the tortilla from the panini press and form into a taco shell. Set aside, folded and repeat with the remaining tortillas. 4. Fill each tortilla: slather hummus or bean spread on the bottom. Add a generous handful of spinach. Add the citrus slices. Add 3-4 avocado slices. Add 3-5 pepper slices. Add the spices. Sprinkle the pumpkin seeds over top and add the cilantro. Repeat for each taco shell. 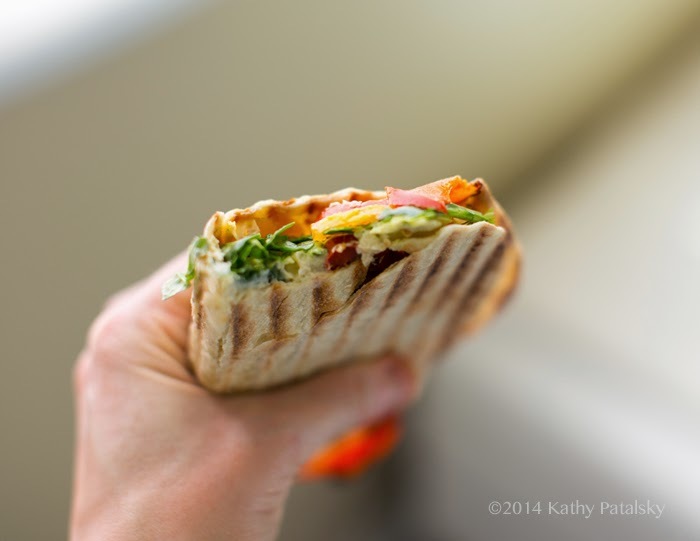 Serve right away or make ahead and place, covered, in the fridge until ready to serve. Best served same day. Serve with optional salsa or hot sauce.